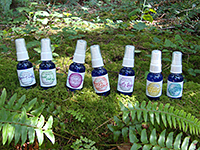 Welcome to Tree Frog Farm Flower Essences & Aromatherapy on Lummi Island! 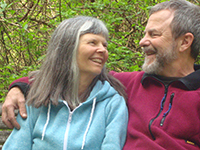 Diana Pepper and John Robinson established Tree Frog Farm in 2000. It grew out of our love for this magical land. 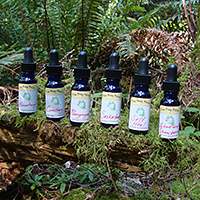 We handcraft local flower essences and tree essences, most of which are made with native plants of the Pacific Northwest. 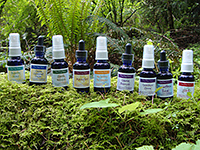 Our essence blends are made in small batches and charged in a crystal matrix. 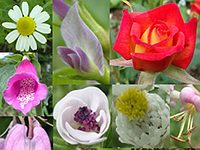 We also make flower essence and aromatherapy misters. 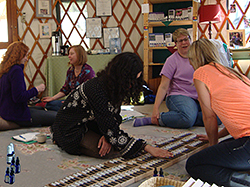 Diana prepares custom blends of flower essences and offers energy healing sessions by phone or in person. 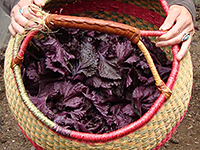 We work in partnership with the Faeries and other Nature Beings of this land. Our philosophy is kinship with and respect for all Life. Tree Frog Farm is designated as a Backyard Wildlife Habitat. The abundance of native habitat at Tree Frog Farm provides shelter and food for many native birds and other critters year ‘round. Over 20 species of birds nest on our land during spring and early summer. For more information please see the photo links below or the navigation links at the top of the page. 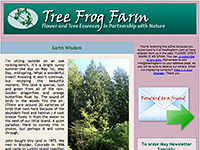 Thanks for your interest in Tree Frog Farm! PLEASE NOTE: DIANA IS TAKING A TEMPORARY BREAK FROM MEETING WTIH CLIENTS. WE WILL REMOVE THIS MESSAGE WHEN SHE RESUMES. THANK YOU FOR YOUR PATIENCE. 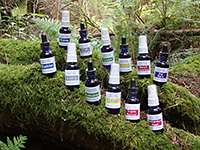 When are Flower Essences Helpful? © 2008- 2019 Tree Frog Farm. All Rights Reserved.